Asian and European markets were lower overnight. Preliminary GDP (Three more to come so investors can trade on them) grew at 2.4% in the second quarter. Demand grew at 4%. Traders (program computers?) don’t like this number even though it was expected and so the major market measures are lower on the news. (WSJ) The U.S. economy slowed in the second quarter of this year and the government said the recession was deeper than earlier believed, adding to concerns over the recovery's strength. U.S. gross domestic product rose at an annualized seasonally adjusted rate of 2.4% in April to June. In its first estimate of the economy's benchmark indicator, the government report showed growth was lifted by business investments and exports. Consumer spending made a smaller contribution to growth. In the first quarter, the economy grew by 3.7%, revised up from an originally reported 2.7% increase. But growth estimates all the way back to the start of 2007 were revised lower. Since all the numbers were revised lower maybe we should cancel all the trading that took place on the day the numbers were release. (Bloomberg) -- The worst U.S. recession since the 1930s was even deeper than previously estimated, reflecting bigger slumps in consumer spending and housing, according to revised figures. .....The government also boosted personal income levels for each of the past three years, propelling the savings rate higher and signaling households are further along the process of repairing finances. .....The rebound from the recession has been more subdued in the last six months of 2009, as the economy grew at an average 3.3 annual pace from July 2009 through December, instead of the 3.9 percent previously projected. ......The worst quarter of the current economic slump is now the final three months of 2008, in the immediate aftermath of the collapse of Lehman Brothers Holdings Inc., rather than the first quarter of 2009. GDP shrank at a 6.8 percent pace from October to December 2008, exceeding the prior estimate of 5.4 percent, making it the deepest quarterly drop since 1980. .....Consumer purchases, which account for 70 percent of the economy, were cut for each of the past three years, with the biggest reduction taking place last year. Less spending on services than previously estimated, including financial services and auto repair, was responsible for the change. We switched Pfizer to Symantec and sold Yahoo. Both anchovy sales were scratch losses. Symantec is near a seven year low and priced at less than 2X revenues and less than 10x earnings with $3 a share in cash on a $13 share price. We also sold Liz Claiborne flat because we decided we have too much retail. In the first hour and one half of trading the DJIA was down 125 points, then rallied back to up 25 and at 10AM the DJIA is back in negative territory. At least the computers are having fun. The Chicago Purchasing Managers reported the CHICAGO BUSINESS BAROMETER rebounded, marking a tenth month of growth. The overall index increased to 62.3 from 59.1. Note: any number above 50 shows expansion. Employment improved to 56.6 from 54.2 in June. The new orders index increased to 64.6 from 59.1. Overall this was a positive report. The national ISM manufacturing index will be released on Monday. Reality: There is no Social Security crisis. By 2023, Social Security will have a $4.6 trillion surplus (yes, trillion with a 'T'). It can pay out all scheduled benefits for the next quarter-century with no changes whatsoever. After 2037, it'll still be able to pay out 75% of scheduled benefits--and again, that's without any changes. The program started preparing for the Baby Boomers retirement decades ago. Anyone who insists Social Security is broke probably wants to break it themselves. Crazy movement with no volume; just another summer Friday with HFT. The major market measures opened lower by over 1% and then popped and dropped all day finally closing slightly mixed on the day. Breadth was flat and volume was summer Friday light. European bourses closed when U.S. markets were lower and so they followed suit. Oil was $78.90 and Gold was $1184. Asia was mostly lower overnight while European bourses are higher at midday. Oil has a $76 handle and Gold is flat at $1165 as the trading day begins. Nvidia Corp. lowered Wednesday its second-quarter revenue estimates, amid weak consumer spending that weighed on sales of its flagship graphics processing chips. The Santa Clara, Calif., company, which specializes in chips that help computers render moving images more effectively, said revenue for the quarter ending Aug. 1 would drop to $800 million to $820 million from the previous forecast of $950 million to $970 million range. Nvidia blamed its lowered expectations on increases in the cost of memory, a vital component of their products, and economic weakness in the European and Chinese markets. Some customers were moving to lower cost graphics chips, which eats into the company's revenue, or buying computers with less expensive products from competitors the revenue warning comes just a day after Apple Inc. offered more bad news for Nvidia. On Tuesday, the Cupertino, Calif., consumer-electronics giant released a new version of its flagship desktop computer, the iMac, which now relies only on graphics cards made by competitor Advanced Micro Devices Inc. Nvidia, which made the announcement after the close of trading, said it wouldn't explain the updated forecast before its second-quarter earnings report, which is scheduled for Aug. 12. The company is now priced at one times sales and at $9 has $3 per share in cash. But that is small comfort for the loss we have in the shares after successfully trading the shares earlier in the year. Our first impression is to hold since most of the damage is done at this price. (Barron’s) The Street is putting the hurt on Symantec (SYMC) shares. Brian Freed, Morgan Keegan: He goes to Market Perform, from Outperform, citing “a weak outlook, the struggles of the storage and server management segment, which we expect to continue, a ramp in [operating expenses]” and expectations that gains from product transitions in FY 2011 will not likely materialize until FY 2012. He sees fair value at $12; the stock closed yesterday at $14.67. Daniel Ives, FBR Capital: He likewise goes to Market Perform, from Outperform. He thinks that a recent acquisition spending spree and a more difficult spending backdrop “has essentially derailed the Symantec recovery story.” His new price target is $15, down from $20. Kash Rangan, Bank of America/Merrill Lynch: He cuts his rating to Neutral from Buy, with a new target of $16, down from $19. “SYMC’s weak quarter and slow growth are in contrast with the broad strength seen in software and we believe growth resurgence may be pressured further if spending remains weak,” he writes. SYMC is down $1.57, or 10.7%, to $13.10. They should have told us that yesterday. We are holding. Initial jobless claims for the week ended July 24 had been expected to total 464,000, but instead they came in at a lower total of 457,000. That marks a decrease of 11,000 from the prior week's upwardly revised total and brings the four-week moving average down to 452,500 from 457,000. As for the continuing claims count, it hit 4.57 million, which is up from the 4.48 million continuing claims that had been registered in the previous week's report. Markets opened higher and we sold some stocks because it looks like the S&P 500 failed at 1115. We took scratch profits in GE, Alcoa -and Goodyear in our smaller accounts. We weren’t able to sell all the Goodyear at our price before it fell into negative territory for the day. July 29 (Bloomberg) -- Cisco Systems Inc. stock was halted for five minutes following a 100-share trade on NYSE Amex that drove the shares up more than 10 percent, triggering a circuit breaker implemented after the May 6 market crash. Cisco jumped to $26 at 10:41:33 a.m. New York time from $23.37 in the preceding transaction, according to data compiled by Bloomberg. At the same second, six other orders for 100 shares each crossed on NYSE Amex at prices exceeding $24. When trading resumed, the shares changed hands for less than $23.60. NYSE Euronext of New York owns NYSE Amex. The surge triggered curbs implemented by U.S. exchanges after the May 6 stock market crash that erased $862 billion in less than 20 minutes. The curb pauses trading for Standard & Poor’s 500 Index companies for five minutes after they rise or fall at least 10 percent within five minutes. The Securities and Exchange Commission may expand the program to the Russell 1000 Index and more than 300 exchange-traded funds. How could a 100 share trade $3 higher that the last trade occur in stock like Cisco that trades 60 million shares on an average day. The whole episode is an example of the goofiness of the SEC trying to control rapid market movement without using the uptick rule. The DJIA opened up 60 points then moved to down 90 points before rallying in the afternoon to up 25 with thirty minutes of trading left. That was it for the rally as the program computers that are doing all the volume decided that lower was better. The DJIA lost 40 and the S&P 500 0.35%. All in all it was positive action for the bulls, but... Breadth was flat and volume light. European bourses gave up their gains and closed negative when the U.S. markets did the same. Oil was $78.37 up $1.25 and Gold gained $6. Goldman Already a Step Ahead of FinReg. Why Nvdia is in the dumps? July 27 (AP) -- Shares of Rambus soared 11 percent before the market opened Tuesday after the chip maker said the U.S. International Trade Commission ruled against a rival using its patented technology. Rambus said late Monday that the commission plans to issue an order that would mean computer graphics chip maker Nvidia Corp. and other manufacturers can no longer import or sell products containing the technology. The commission ruled in April that Nvidia's technology infringes on several of Rambus' patents. Its final determination has not yet been published. In 2008, Rambus filed a complaint against Nvidia, as well as Hewlett-Packard Co., Asus Computer International Inc. and other manufacturers. Rambus argued that Nvidia chips infringe on its patents related to the workings of memory systems in computers, gaming consoles and mobile devices. Nvidia has said that the ruling won't affect its business because it plans to use a license the European Commission required Rambus to make available as part of an ongoing antitrust investigation. Nvidia said it plans to appeal the case and argue its side before the U.S. Patent and Trademark Office. The major market measures were lower most of the day Wednesday and the S&P 500 dropped 0.75%. Volume was summer light and breadth was 2/1 negative. Oil dropped to $76.85 and Gold bounced $2 higher after yesterday’s large drop. European bourses closed lower while Asian markets were higher overnight with Japan up 2%. Our guru comments that yesterday’s action was a Dow Theory buy signal as both the DJIA and the Dow Transports closed above their June closing highs. The fact that they both did so on the same day makes the signal firmer. And then the guru adds the caveat that the S&P 500 gave a sell signal on July 1 so.............. . Today is Turnaround Tuesday and the higher opening this morning may turn out to disappoint the bulls. The last move off the 1050 level failed here and may again. Corporate earnings justify higher price levels but the uncertain economy is a real damper. Stocks will have to test the downside today and survive before we will relax a bit. Asian markets were mixed overnight but European markets are higher at midday. DuPont and Cummins Engine reported great numbers and U.S. Steel disappointed. Home prices rose 1% last month. Data through May 2010, released today by Standard & Poor’s for its S&P/Case-Shiller1 Home Price Indices, the leading measure of U.S. home prices, show that the annual growth rates in 15 of the 20 MSAs and the 10- and 20-City Composites improved in May compared to those reported for April 2010. The 10-City Composite is up 5.4% and the 20-City Composite is up 4.6%from where they were in May 2009. While 19 MSAs and both Composites reported positive monthly changes in May over April, only 12 of the MSAs and the two Composites saw better month-over-month growth rates in May than those reported in April. In the first hour of trading the major measure opened higher and then reversed to move lower. In the second hour they continue to hover around unchanged. As we said above Bulls need to have an up day. For those keeping score the S&P 500 exce3eded 1115 (step #3 see Friday 7/23) but now is lower. We repurchased Walgreen and added Pfizer when the market measures slipped into negative territory. That increases exposure with less volatile issues than what own. We are betting on an up breakout. If we are wrong we will hold or add. Remember Neel Kashkari? Back during the financial crisis, Kashkari sat at the U.S. Treasury's Office of Financial Stability, where he was in charge of implementing the Troubled Asset Relief Program -- the fancy name for a wheelbarrow full of $700 billion in taxpayer money that went to revive the do-not-resuscitate banks of the world, which is exactly what those banks asked the government to do. Well, the whole experience made Kashkari terribly, terribly sad! So he went out into the woods to build himself a Cabin Of Emotions, where he could grieve over the fact that Washington, DC had lost the lustrous glamour that attracted him in the first place -- during the Iran-Contra hearings. But since then, he was rescued from his doldrums by bond giant PIMCO, where he became its managing director of investment management. Now he's on the op-ed pages of the Washington Post, with a message for the olds: STOP BEING SO "ME-FIRST" and let us cut your entitlements! A nation's culture can have a profound impact on its competitiveness. Our shared beliefs in free markets, fair play and the rule of law inspire entrepreneurs to pursue their dreams and give global investors confidence to bring their money to America. These beliefs have passed from citizen to citizen, from generation to generation. They have strengthened over our history and brought an important competitive edge to the United States. Hey, let's remember some basic things before we go any further, shall we? "Free markets" equals "too big to fail banks will never be allowed to fail." "Fair play" equals "bailing out these too big to fail banks when they nearly destroy the economy while small banks die by the hundreds." "Rule of law" equals "big banks using derivatives to get around capital rules." Okay? Moving on! Our belief in free markets is founded on the idea that each individual acting in his or her self-interest will lead to a superior outcome for the whole. The financial crisis has reminded us that free markets are not perfect -- but they do allocate capital better than any other system we know. A "me first" mentality usually makes markets more efficient. Okay! So, a person who retires today probably entered the workforce in the mid to late 1960s. They acted in their self-interest, let's say, and this led to some "superior outcomes for the whole." It was so "me-first" of those people to not consider the possibility that decades after they started contributing to the nation's wealth, that another generation of idiots would come around and destroy it, leaving us with no other choice than to push those aging former societal contributors out onto ice floes to die! What jerks! Where was their foresight? Why weren't they smart enough to get way into toxic mortgage-backed securities? They could be the ones holding America hostage today! Cutting entitlement spending requires us to think beyond what is in our own immediate self-interest. But it also runs against our sense of fairness: We have, after all, paid for entitlements for earlier generations. Is it now fair to cut my benefits? No, it isn't. But if we don't focus on our collective good, all of us will suffer. As of June 30th, 61 percent of PIMCO's holdings -- $500 billion -- were in the very mortgage backed securities that it's now being hired by the Fed to buy back on behalf of US taxpayers, according to a September Bloomberg report that cited data on PIMCO's own website. That could explain why, as financial blogger Rolfe Winkler pointed out earlier today, PIMCO chief Bill Gross was sounding the alarm in early September about the disastrous fate that would befall the US economy unless the government started buying up troubled mortgage assets. In a September 4 post on PIMCO's website, Gross warned: If we are to prevent a continuing asset and debt liquidation of near historic proportions, we will require policies that open up the balance sheet of the U.S. Treasury. Within days, Treasury did what Gross was asking. In other words, as Peter Cohan, a professor of management at Babson College, put it at the time in a post on Bloggingstocks.com: Bill Gross, who manages $830 billion, has convinced the U.S. Treasury to use your taxpayer dollars to bail him out of his bad investments. And Gross seems to have had his eye on the endgame for a while here too. Later that month, he argued in a Washington Post op-ed that a broader bailout -- what became TARP -- was also desperately needed, and he seemed to suggest that his own PIMCO would be a perfect candidate to manage the funds. And now, Neel Kashkari is in the Washington Post today, arguing that cutting entitlements is akin to TARP because both are "unpopular decisions that are in our collective best interest." Except that TARP benefited PIMCO greatly and, having been done a good turn, PIMCO rescued Kashkari from his sad little cabin in the woods. Some pigs are more collectively best-interested than others. But Kashkari says we have to act now now now! Cut entitlements before it's too late! If we wait until the bond market shuns Treasurys, the economic consequences could be dire. Virtually overnight, we could have far less money to spend on priorities such as defense, education and research. Once confidence in U.S. Treasury bonds is lost, it could take years to return. Let's take a look at the bond market, shall we? That red line indicates the interest rate yield on 2-year T-Bills, currently at about 0.6%. Now, there are plenty of market experts who will be willing to debate the fine points of this, but doesn't it seem like the world's investors a) find 2-year T-Bills to be one of the safest investments around and b) are really unconcerned about the U.S. deficit? When, exactly, is the confidence going to be lost? Will it be soon? Fun fact: Right now, the 2-year T-Bill is seen as so safe that, judging by the yields, it's apparently riskier to get a 2-year CD from a bank. The average yield on a 2-year CD is about DOUBLE that of a 2-year T-bill, according to Bankrate.com. So investors are passing up double the yield in order to buy Treasuries. Kashkari says, "Our leaders need to make the case for cutting entitlement spending by tapping into our shared beliefs of sacrifice and self-reliance." That word -- "our" -- seems awfully ironic! Pare back now, America, so there's money on hand to save the banks again! Shacks in the woods for everyone else. The Standard & Poor Case-Shiller Home Price Index for the 20 top metro areas increased in April and May, as buyers rushed to take advantage of the last available homebuyer tax credits. Prices over the last seven months, however, have remained essentially flat and are likely to deteriorate a bit over the summer, as a new round of foreclosures hits the market. Strategic foreclosures - when people opt to default on a mortgage they can still afford because the value of their home has dropped so much - are a particular problem. The stigma attached to walking away from your mortgage commitment has all but disappeared in some of the worst-hit housing markets. Indeed, the chance of a homeowner strategically defaulting once they know someone else who has done the same, goes up dramatically. Separately, consumer confidence fell in June, as consumers continued to struggle with poor job prospects and the reality of a subpar recovery. The Bottom Line: It will be a rocky summer for consumer spending and for the housing market. A double dip remains unlikely, but the alternative isn't a whole lot better. We made it through the crisis, but still have to deal with the structural problems that ail us. Ma! He’s Looking At Me Funny! That’s basically the thrust of Mort Zuckerman’s op-ed accusing Obama of “demonizing” business. Kind of different, isn’t it? That’s only business-bashing if you believe that there’s no such thing as businesses who cut costs by ignoring the environmental impact of their activities, or take risks that end up endangering the financial system. If so, I wish I lived on your planet. I think this is telling. This is the only actual example of Obama’s alleged demonization of business that Zuckerman offers — and it’s essentially a mini-Breitbart, a quote taken out of context to make it seem as if Obama was saying something he wasn’t. That’s typical of the whole argument. Oh, and one more thing: are there no copy editors at the FT? When I quote someone in my column, I supply the source material, and my copy editor checks, not just to be sure that the quote is accurate, but that it’s not taken out of context. But I guess such rules don’t apply if you’re a conservative. The major market measures fluctuated plus and minus small all day. The DJIA closed up and the S&P 500 closed flat at 1114. Breadth was 3/2 negative with volume light. The action was satisfactory for the bulls. But tomorrow is tomorrow. European stocks closed higher, led by a surge in the banking sector after investors breathed a sigh of relief that future bank regulations won't be as tough as anticipated. Gold broke support as it dropped $25 to $1160 and Oil lost $1.73 to $77.50. HAVANA, July 26 (Itar-Tass) -- Cuban President Raul Castro will hold a major ceremony on National Revolution Day in Cuba on Monday. The Cuban leader will deliver a speech at a festive ceremony in the city of Santa Clara, the capital of Villa Clara Province. More than 100,000 people are expected to gather on the main city square named after Ernesto Che Guevara. The participants in the abortive storming of the Moncada Barracks, which a group of young rebels led by Fidel Castro were attempting to capture on July 26, 1953, and other veterans of the armed struggle with Batista’s dictatorship will meet on the square. The day of the attack on the Moncada Barracks is considered the starting point of the Cuban Revolution. After the victory of the revolution in 1959 July 26 was declared as one of the most important national holidays. Asian and European markets were/are mixed as traders digest the European bank stress test data. Bears think the stress test were fixed and bulls think the stress tests were just fine. What else is new? (Bloomberg) -- Barton Biggs, the hedge fund manager who sold half his equity holdings around the start of July, said today that signs the U.S. economy will avoid a recession spurred him to build the stakes back up. Biggs, whose Traxis Partners LLC gained 38 percent in 2009 when he bought equities as the Standard & Poor’s 500 Index fell to a 12-year low, said on July 2 that concern governments around the world curtail stimulus measures too soon led him to sell about half of his stock investments. The S&P 500 has risen 7.8 percent since that day on optimism about corporate profits. Of 152 S&P 500 companies that have reported earnings since July 12, 84 percent have beaten the average analyst earnings forecast, according to Bloomberg data. In August of 1998 the S&P 500 breached the 1100 level for the second time that year. Twelve years later the S&P 500 is again trying to breach and stay above the 1100 level. After hitting 1100 in 1998 the S&P 500 moved back down to the 900 level by October. Hopefully that won’t occur this time. History at times rhymes but is never the same. New home sales were up 23% month over month and when the news was released at 9AM that put a little oomph into what had been desultory trading. Financial stocks are higher this morning as are cyclicals and blue chips. The only laggards are tech stocks. Diane Swonk, Chief Economist Mesirow Financial. New home sales rose more than 20 percent to a 330,000 unit pace in June, after being revised DOWN to a new low for the month of May. As a result, the level of new home sales activity remains extremely suppressed. Everything from the end of homebuyer tax credits, to the competition created by short sales and foreclosures, has contributed to the ongoing weakness in new home sales. Tougher lending conditions and harsher underwriting standards are also a problem. Fannie Mae has cut back on its purchases of mortgage-backed securities, forcing banks to actually underwrite the loans they are giving - which they appear completely unprepared to do. Appraisers are now in short supply, appraising properties in markets where they have never worked before. And bankers are asking for more documentation than they did in the 1980s, before securitization became so popular. The Bottom Line: It will be a tough summer for housing and the consumer. Although, it is amazing how much consumers are able to spend when they fail to pay their mortgage. Look for sales and consumer spending to pick up marginally in the fall in response to somewhat stronger hiring. The major market measures closed higher in light summer Monday trading. The S&P 500 gained 1% to 1115 (above the guru’s second target of 1111- see 7/23 post) and breadth was 4/1 positive. European bourses were higher at the close. Gold lost $5 to $1183 and Oil was up pennies at $79.12. Ford beats and earns money everywhere, Microsoft numbers were good, Amazon earnings jump-but not high enough for analysts; McDonalds beats by a penny and so it goes. Europe is mixed at midday and Asia was higher overnight. Our guru has five levels for the S&P 500 to overcome before he will consider the bull market revived. (NYT) The Obama administration on Thursday released its controversial proposed regulations to end federal student aid to for-profit colleges whose graduates do not earn enough to repay their loans. Since most for-profit programs get the vast majority of their revenues from federal student aid, the regulations could effectively shut down the programs whose students have the most debt and the least likelihood of finding good jobs. (Bloomberg) -- Ford Motor Co. reported second- quarter net income of $2.6 billion, completing its most profitable first half in more than a decade, as car buyers pay more for its new models. Chief Executive Officer Alan Mulally overhauled Ford’s lineup, redesigning cars such as the Taurus and Fusion, and adding extras like heated leather seats and voice-activated electronics. He also boosted quality, which had customers paying 14 percent more for Ford vehicles in June than five years ago, according to Edmunds.com. Ford held 17.5 percent of its U.S. market in the first half, up from 16.1 percent last year. Ford’s automotive operations had $21.9 billion in cash on June 30, down from $25.3 billion on March 31. Ford paid down automotive debt by $7 billion in the second quarter, lowering it to $27.3 billion from $34.3 billion at the start of the quarter. Ford said today it will have a positive automotive net cash position by the end of 2011. “We remain on track to deliver solid profits and positive automotive operating-related cash flow for 2010, and we expect even better financial results in 2011,” Mulally said in the statement. Ford said it won’t earn as much in the second half because of high costs “to support growth and key product introductions, as well as higher commodity costs and smaller reductions in reserves at Ford Credit.” Ford will begin selling the redesigned Explorer sport-utility vehicle and Focus small car in the second half. (Bloomberg) Verizon reported second-quarter earnings that beat analysts’ estimates after winning customers with Android smart phones that browse the Web and capture video. Profit, excluding costs to cut jobs, fell to 58 cents a share from 63 cents a year earlier, the New York-based company said in a statement today. Analysts had forecast a 56-cent profit, according to a Bloomberg survey. Verizon has introduced several phones running on Google Inc.’s Android operating system, including Droids from Motorola Inc. and HTC Corp., to compete against AT&T Inc.’s iPhone. The new devices helped Verizon add 665,000 contract customers -- beating AT&T’s gains -- and the mobile business relieved some of the costs from job cuts in the company’s home-phone unit. King had forecast 575,000 contract-customer additions. It is important to be fair. (WSJ) U.S. "pay czar" Kenneth Feinberg on Friday declined to request 17 financial firms that doled out $1.6 billion in "ill advised" executive compensation to return the excessive payouts, saying to do so would be unfair to the companies and could trigger private lawsuits and additional Congressional investigation. Mr. Feinberg released a report that found 17 firms—including Goldman Sachs Group Inc., J.P. Morgan Chase & Co. and Citigroup Inc.—made the bonus-like payouts to top executives in late 2008 and early 2009 even as the companies were receiving taxpayer assistance. General Electric raised its quarterly dividend 20%. We doubled our positions in Yahoo as it continues to trade near a two year low. (WSJ) European banks largely passed a round of government stress tests, with just a few institutions found to need modest amounts of new capital. Bank supervisors said 7 of 91 European banks failed stress tests under the worst-case scenario. But the overall strong grades, awarded to a banking system that for the last several months has lurched from crisis to crisis, raised questions over whether the month long tests were tough enough to be judged credible. The major market measures close higher by 0.5% to 1% on Friday in light trading. Breadth was 3/1 positive. European shares ended the day and the week with gains, buoyed by strong economic data. Markets closed before much-awaited bank stress-test results were released. Oil was $79.02 down 30 pennies and Gold lost $8 to $1188. Having raised cash on Monday we haven’t given up much gain on what we sold and have the luxury of a good cash position. The S&P 500 closed at 1100 so the first of our guru’s targets has been met. Ok, riddle us this: How does a company just out of bankruptcy and owned by the taxpayers spend $3 billion to takeover a credit company that lends to folks who have lousy credit. Or rather why does a company do this? Only in America. (Bloomberg) General Motors, the automaker 61 percent owned by the U.S., is buying subprime lender AmeriCredit Corp. for $3.5 billion. Chief Financial Officer Chris Liddell revealed the acquisition in a briefing today at GM headquarters in Detroit. GM and AmeriCredit reached a definitive agreement on the deal, which has been approved by the boards of both companies. GM said the deal is expected to close in the fourth quarter. The move will give GM more ability to lend to customers with damaged credit, which will help GM reach more borrowers. “Adding AmeriCredit to our team will improve our competitiveness in auto financing offerings,” Chief Executive Officer Ed Whitacre said in a statement. Whitacre had wanted to buy or start a lending arm before a fourth-quarter initial public offering, people familiar with the matter said in May. The automaker had decided a deal couldn’t be reached in that time frame, people with direct knowledge said earlier this month. The price of $24.50 a share represents a 24 percent premium to Fort Worth, Texas-based AmeriCredit’s closing price yesterday of $19.70 a share in New York Stock Exchange composite trading. The move will give GM the ability to reach more customers with damaged credit which will help GM reach more borrowers. Say what? By the way, Ford Credit survived the turmoil because it stuck to auto lending while GMAC –now called Ally- almost didn’t and had to be rescued (http://dealbook.blogs.nytimes.com/2009/06/01/gmac-vows-not-to-follow-gm-into-bankruptcy/ ) by the Fed because of all the lousy subprime loans made by its mortgage arm Ditech. Jobless claims climbed back up to 464,000 but good earnings from 3M, Caterpillar, UPS, AT&T and others have the major measures higher in the pre-opening futures trade. Asian markets were mostly higher overnight and European bourse indexes are strong at midday. Federal Reserve Board Chairman, Ben Bernanke, reaffirmed his stance in a testimony to Congress today that the Fed is willing to do whatever is necessary to keep the recovery going in these "unusually uncertain" economic times. What can the Fed do? It can reinstate the programs that it initiated during the crisis, like expanding its balance sheet to buy mortgage-backed securities again. Or, it could suspend the interest that it pays on excess bank reserves to encourage more bank lending. The list is actually quite long. That said, it is unclear how much impact any such actions will have, given how little powder we have left in the Fed's arsenal of tools to stimulate. Add to that the damage that could be created by asking the Fed to fix structural problems - instead of more transitory cyclical problems - and additional interventions could do more damage than good. There is a fairly strong argument that excessively-low interest rates contributed to the excessive risk-taking leading up to the crisis. I truly believe that the actions taken by the Fed during the height of the crisis helped to avert another Great Depression, or much worse. It is not at all clear, however, whether they can do much about the structural problems that persist. We all have our limits, and knowing those are oftentimes more important than knowing our strengths. Maybe it is time for the Fed to be the grown-up in the room, and admit that they can't make all of our problems go away with a wave of their magic wand. Unemployment claims rose back to 464,000 in the most recent week after falling to a downward-adjusted 427,000 the week prior. Distortions created by NOT closing plants at General Motors during the first week of July accounted for much of the drop in data the week prior, and are now working their way out of the system. The persistence of the long-term unemployed is a particular problem for the U.S., where unemployment insurance was designed more for more job-generating than jobless recoveries. We would all be better served if unemployment insurance were renewed via a formula, instead of an arbitrary decision by Congress, which tends to tack on any pet project they can onto insurance extensions. This would limit excessive and unnecessary spending during recoveries, and if phased out over time, would allow unemployed workers time to adjust without major disruptions to the economy. Nobody wants to encourage the unemployed to remain that way. It strikes me as somewhat barbaric and unproductive for the overall economy to pull the rug out on insurance when so many are trying but can't find a job in this economy. There is some evidence that extensions to unemployment insurance discourage workers to take lower-paying jobs, especially at higher education and skill levels. The majority of the unemployed today, however, would rather work than be at the mercy of politics in Washington. The Bottom Line: Firing appears to have abated, but hiring has yet to accelerate. The result is a traffic jam of a recovery that is moving forward so slowly that it is adding, rather than alleviating, anxiety. Existing home sales fell from the elevated levels of this spring to a 5.37 million unit rate in June. Sales continued to benefit from homebuyer tax credits, which expired for homes under contract by the end of April and closed by the end of June. Moreover, Congress recently extended the date by which qualified buyers could close, as changes in underwriting and a lack of qualified appraisers were causing bottlenecks in the system. Distressed sales made up almost a third of all sales, which goes hand in hand with the record levels (24 percent) of all-cash sales. Banks are having a particularly hard time figuring out how to underwrite a mortgage for a foreclosed property, which means that the best "deals" in the market are going to those with cash and/or to investors. The Bottom Line: The housing market was at the core of the crisis and remains the Achilles' heel for the economy. Housing is likely to lose ground again over the summer. The good news is that we now appear to be in the process of overcorrecting and will eventually see a snapback. Rents are actually exceeding the marginal cost of homeownership in some markets, which suggests that the pent-up demand for housing is building. The problem is lending, which could make "eventually" a very long period of time. One half hour into the trading day and the major measures are up 2%. The bulls are running today but do they have the stamina to hold it? The S&P 500 is 1092 and 1090 is the downtrend line from the April high while 1100 to 1115 is heavy resistance. The major market measures closed up about 2%. Breadth was 8/1 positive on the NYSE and up volume was 10X down volume as the HFT played their games. They are the only folks in the markets judging by the light volume. European bourses also gained with France up 3%, Germany up 2% and London better by more than 1%. Oil gained almost $3 to $$79.82 and Gold was up $4 at $1195. We are getting whiplash. Asian and European markets were higher overnight. Apple reported good numbers that beat and is trading $12 higher in the early going. Morgan Stanley, Wells Fargo and U.S. Bancorp beat and that had given a positive tone to financials. Yahoo missed on revenues although earnings beat and it is trading $1 lower at $14 support. We added shares of Yahoo (at $14.20) to accounts that own Barnes & Noble on the $1 drop this morning. $14 has been support for the last 13 months. (AP)Yahoo said Tuesday that its profit increased more than 50 percent in the second quarter but that its net revenue fell short of Wall Street expectations. Yahoo’s shares were down more than 6 percent in after-hours trading. Revenue in the three months ending June 30 totaled $1.6 billion, compared with $1.57 billion in the period a year ago. But net revenue, which excludes revenue it shares with Web site partners, was $1.13 billion — below the average analyst expectation of $1.16 billion, according to Thomson Reuters. Tim Morse, Yahoo’s chief financial officer, said Tuesday that the company experienced “big customer weakness” among its display advertisers in the United States toward the end of June, with some pushing orders to July. “It has definitely made us incrementally a little bit more cautious,” Mr. Morse said. Yahoo’s search business declined 8 percent year over year. Mr. Morse said the company did not see the gains in profitable search business that it had expected. Net income in the second quarter was $213.3 million, or 15 cents a share, up from $141.4 million, or 10 cents a share, in the period a year ago. That was a penny above analysts’ average forecast of 14 cents. Yahoo forecast a revenue range of $1.57 billion to $1.65 billion in the third quarter. BP will keep its damaged Gulf of Mexico well sealed today because there’s no evidence of a leak that could erupt into another gusher like the one that caused the largest U.S. oil spill, the government said. Pressure inside the well has risen slowly to 6,834 pounds per square inch since BP sealed it July 15, indicating oil and gas is not being forced out elsewhere in the well bore. A seabed natural gas leak about 3 kilometers (1.9 miles) away is from an abandoned well, National Incident Commander Thad Allen said yesterday on a conference call. We have given up listening and reading the news and have instead been pouring thought mystery novels all summer. The media is awash with negativism and talk of another depression. Unemployment is terrible at 9% but in the Great Depression it was 25%. With 9% unemployment that means 91% of folks are employed. Some may not like those jobs and/or consider themselves underpaid and underutilized but that is the case in good times and bad. Social Security, Medicare and Unemployment pay did not exist in the Great Depression and that is the reason there will not be another. In 1992-93 there was the same talk as now that the deficit was going to bankrupt the country. In 1993 Clinton was able to get a tax increase with a one meager vote majority in the House of Representatives. 8 years later in 2001 all the poobahs were worried about the deficit beings paid off. Greenspan testified in favor the Bush tax cuts because he said that if the deficit were retired there would no longer be U.S. Treasury bonds available for excess cash in the world to be invested in. Well, we don’t’ have that worry now. Times are tough but the doom and gloom is media created for ratings and politically created by the party out of power. Several grains of salt are needed when interpreting the news these days. Corporate earnings are improving, and time will allow the economy to recover. Fear sells and so the cacophonies of terrible prognostications will continue. The financial system has survived the 2008-2209 meltdowns and now must spend time rebuilding investor and consumer confidence. Until is does the fear mongering and wailing will continue; we don’t have to listen and we aren’t’. PRNewswire-FirstCall/ -- Following a comprehensive review, Liz Claiborne today announced plans to exit its Liz Claiborne branded outlet stores in the United States and Puerto Rico. As a result of this decision, the Company expects the meaningful operating losses related to this business to be eliminated in early 2011 when this action is anticipated to be completed. The Company's other outlet stores in the United States and Puerto Rico for its Juicy Couture, Lucky Brand, Kate Spade and Kensie brands are not impacted by this decision. William L. McComb, Chief Executive Officer of Liz Claiborne Inc., said: "With the launches of the Liz Claiborne brand at JCPenney and Liz Claiborne New York at QVC -- both next month -- we're announcing today that we will be exiting our 87 Liz Claiborne branded outlet stores in the United States and Puerto Rico, the majority of which will be exited in the coming months." Mr. McComb continued, "A number of factors precipitated this decision. Our current fleet of Liz Claiborne branded outlet stores was originally designed and leased to handle clearance for many brands in our portfolio -- an outdated consumer proposition and one that no longer makes economic sense, given the vast changes we have made to our portfolio and business strategy over the past three years." Mr. McComb concluded, "In addition, our corporate strategy allocates the majority of our capital dollars to our retail-based Direct Brands, while leveraging a stable of Partnered Brands for additional revenue generation and to help support our growth opportunities across the Company. Considering the capital efficient, licensing-oriented model for the Liz Claiborne brand, our organizational energy and resources are better used to support successful and profitable businesses at JCPenney and QVC." In connection with this action, the Company currently estimates that it will incur non-cash impairment charges of approximately $7.0 million in the second quarter of 2010 and may incur additional non-cash charges in future periods. The Company also expects to record cash charges related to lease terminations and severance and is in the process of determining these cash charges. The Company will provide more comments on this process during its second quarter earnings conference call, which is scheduled for August 5th at 10am. Bernanke testified at 1PM that risks to growth in the U.S. economy are weighted to the downside AND THE ECONOMIC OUTLOOK IS STILL UNUSALLY UNCERTAIN. On those comments the major market measures move 1% lower after being in positive territory. The major measures closed lower with the S&P 500 of 1.5% after Bernanke’s downbeat assessment of the economy. European bourses closed higher before Bernanke delivered his comments. Oil dropper over $1 to $76.45 and Gold was lower by $10. Breadth was 2/1 negative and volume was light. Asian and European markets were down overnight and U.S. futures suggest a 1% lower opening. IBM disappointed and is $4 lower in the early trade. Also Goldman reported several numbers but the price action (down $2) indicates the numbers didn’t please traders. Our recent in and then out moves on a number of stocks are the results of our confusion over the mixed signals the markets are sending. We did think the bounce off the 1020 level would hold and that was why we increased exposure...but Friday’s swoon was a bit much for us and so we decided to return to higher cash position in case lower work is need to wash out the greed factor. The shares we own all have the ability to double or more in any real recovery. Verizon and Walgreen are great stocks but we added them as trades and sold them because they don’t have the percentage gain potential from present levels as the issues we held. Dell is a commodity stock and the bank issues are real anchovies since no one really knows what their balance sheets hold and what time bombs lurk. (MarketWatch) Goldman Sachs reported second-quarter earnings of 78 cents a share, taking a hit from its settlement with the Securities and Exchange Commission and the U.K.'s payroll tax. Earnings were down from $4.93 a share in the same period last year. Net revenue for the three months came in at $8.84 billion. Absent the U.K. tax and U.S. settlement costs, the company would have earned $2.75 a share, compared to the $2.70 consensus estimate of analysts. Revenue from the firm's trading and principal investment unit dropped 39% from a year ago, to $6.55 billion this quarter. After a federal subsidy for buyers expired, housing starts fell 5% in June to a seasonally adjusted annual rate of 549,000, the lowest level in eight months, the Commerce Department estimated. The drop was worse than the 3% decline to 575,000 expected by economists surveyed by MarketWatch. Building permits rose 2.1% on the month, due to a 20% gain in permits for multi-family units. Permits for single-family homes fell 3.4% to a seasonally-adjusted annual rate of 421,000, the lowest level since April 2009. UnitedHealth Group (Health Insurance companies continue to prosper) said second-quarter net earnings rose to $1.12 billion, or 99 cents a share, from $859 million, or 73 cents a share, in the same period last year. A survey of analysts had produced a mean estimate of 75 cents a share. The Minneapolis-based provider of health benefits and services said second-quarter revenues rose 7% to $23.3 billion. UnitedHealth said it now expects full-year 2010 revenues of around $93 billion and net earnings in the range of $3.40 to $3.60 a share. Analysts had forecast full-year earnings of $3.34 a share. International Business Machines late Monday reported a 9% rise in second-quarter profit, even as sales fell short of Wall Street expectations. The company said net income rose to $3.4 billion, or $2.61 a share, from $3.1 billion, or $2.32 a share, in the same period last year. Revenue rose 2% to $23.7 billion as exchange rate fluctuations knocked around $500 million off the total. Analysts had expected the group to report earnings of $2.58 a share on revenue of $24.17 billion. An hour into the trading day and the major market measures are over 1% lower. Today is Turnaround Tuesday and if the bulls can’t rescue their trend today the rest of the week may be sad for them. Today Bloomberg reports on the flood of financial institutions offering some version of what you might call Black Swan insurance -- products, funds, etc. designed specifically to hedge against or pay off in the event of tail risk. PIMCO is the latest to launch a Black Swan product, though of course it's Mr. Black Swan himself Nassim Taleb who has been at this the longest, with his various funds (Empirca, and now Universa, which he advises) designed to pay off in the event of an extreme event. There's a lot to be skeptical about here, quite obviously. For one thing, as Felix Salmon recently pointed out, designing these products are really, really, hard, since even if you can basically predict the crisis, knowing how various assets will actually move in the event of them is dicey, at best. What's scary are not the products themselves, but rather what the products indicate about Wall Street's mindset. Nobody wants to de-risk, in the sense that they want to actually take some money off the table. Instead -- and this is something FT columnist and author John Authers argues -- it's all about pricing and quantifying risk, and of course hedging against it. And hedging against risk, and actually de-risking are not the same thing. The proliferation of these products (Deutsche and Citigroup are also offering them) is not just an indication that Wall Street is peddling fear, but that it continues to pedal the idea that the solution to risk is to buy another product. September issues are absolutely the thing for fashion magazines—a few short years ago, they were all competing to see whose issue could outweigh a watermelon. The last couple of years? Not so great. This year? Well...better, at least. A year ago at this time, the recession was still in full swing, and there's not a more frivolous-seeming investment than a dozen glossy pages in Vogue's September issue. For that reason, Vogue's ad pages were down more than a third last September, and other fashion mags saw declines in the 20% range. This year? Vogue is up 23%, to 529 ad pages. Other fashion magazines are also seeing increases—Glamour is up 57%(! ), Harper's Bazaar is up 12%, and InStyle is up 16%. Of course, that's not a full-fledged comeback. That's an increase over last year's numbers, which were horrible. Vogue, for example, is still well below its rah-rah 2007 peak of 727 ad pages. A better litmus test of magazines' health may come next September, when they'll have less apocalyptic numbers to compare themselves to. Then again, a forecast last month predicted that magazines' print ad revenue won't start rising past pre-recession levels until 2013. Assuming everyone can hang on that long. The major stock measures reversed a 1% loss and the bulls were able with the help of HFT to turn the day into a gainer. 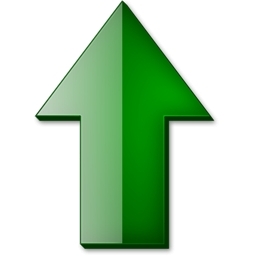 The S&P 500 was up 1% as was the NAZZ while the DJIA gained 0.75%. Breadth was 10/1 negative in the first hour and closed 3/1 positive. Volume was light and the rally was anemic but steady. Higher is better than lower. European stocks ended lower as a late rally in the basic-resources sector helped offset another round of weak U.S. housing data and disappointing results from Goldman Sachs. Goldman finished $4 higher after trading $5 lower in the early going. Gold ended at $1196 and Oil rose pennies to $77.32. Friday’s action surprised us and suggests that there is more downside work. The failure of the banks after the passage of the Financial Regulation bill was not encouraging since the banks got most of what they wanted and what they didn’t get they will over time through adjustment and rule making. We are taking advantage of this morning’s up opening to sell our bank positions (FITB, C, and BankAmerica) as well as Dell, Verizon, Walgreen, Gap and Boston Scientific. We also reduced positions in Barnes & Noble in many accounts. That will reduce our overall exposure in the Model and many other accounts to 35%. Merger and takeover news have futures higher even though Asia and Europe were lower overnight. The major market measures rallied at the opening, then dropped to negative territory for a few hours but managed to close up 0.5% on the day in light trading. Breadth was 3/2 positive. European stocks fell Monday, erasing earlier gains after disappointing U.S. housing data knocked sentiment, while gold fell and oil prices rose slightly. Goldman Sachs settled with the SEC for a mere $550 million- a lot of money to us but chump change for them. $250 million goes to the aggrieved investors and $300 million to the SEC. $500 million should go to the aggrieved and $50 million to the SEC to pay for the time spent. But then that is not how the SEC works. They too need to get their bite form the aggrieved. On the news Goldman is up another $6 per share in the early trade. GE, BankAmerica and Citi all beat on earnings but all are trading lower in the early going. We own all three. Google missed and is down 5%. U.S. futures indicate a lower opening. Today is the second and final Triple Witching for the month. (MarketWatch) Asian stocks endured a rough session, with the Nikkei 225 sliding 2.9% in Tokyo on worries about the economy. European stocks veered between gains and losses through the day, with German utilities struggling but BP advancing. The euro reached $1.30 for the first time since early May. (AP) -- General Electric Co. posted its first quarterly profit gain since late 2007, helped by cost cuts and improvements at its beleaguered financing business. The results from one of the world's largest industrial and financial companies suggest the economic recovery may still have steam, even as other indicators show a slowdown in growth. GE is trying to right itself after the recession and financial crisis punished its profits over the past two years. Revenue fell 4 percent, in part because GE is shrinking the size of GE Capital, its financial arm. GE was also able to cut costs by nearly $3 billion. GE had net income of $3.0 billion, or 28 cents per share. That was up from $2.6 billion, or 25 cents per share, a year earlier. GE said orders are improving in its industrial units that make everything from jet engines to power plant equipment. GE Capital, which makes loans ranging from credit cards to office buildings financing, also posted a 93 percent gain in profits to $830 million. It was bolstered by lower losses. (AP) -- Citigroup says its second-quarter net income dropped 10 percent to $2.7 billion even as its loan losses fell. The drop in income reflects the bank's sale a year ago of the Smith Barney brokerage, a transaction that inflated its earnings at the time. Citigroup Inc. joins JPMorgan Chase & Co. and Bank of America Corp. in reporting earnings that got a lift in the second quarter as losses from failed loans fell. That's a sign that consumers are having an easier time paying their debts. But Citi, like the other banks, also had a decline in trading revenue because of the stock market's plunge this spring. Citigroup says it earned $2.7 billion, or 9 cents per share, during the April-June period. That compares with $3 billion, or 49 cents per share, during the same quarter last year. (AP) -- Bank of America said Friday its second-quarter net income rose 15 percent to $2.78 billion as improvements in the company's consumer loan businesses made up for a drop in trading revenue. The bank's results beat expectations and provided further evidence that losses from failed loans at the nation's big banks may have peaked in the first half of 2010. Bank of America says it reserves to cover losses from loans fell 17 percent from the first quarter of this year and 39 percent from a year ago. JPMorgan Chase & Co. on Thursday also reported improvements in its consumer loan business. In a statement, Bank of America chief executive Brian Moynihan said the company's "credit quality improved even faster than we expected." Bank CEOs have been cautious throughout the aftermath of the 2008 financial crisis when reporting progress in their loan businesses. Economists and investors are looking to those loan loss levels as an indicator of how well the economic recovery is faring. Bank of America's second-quarter net income, which reflected the payment of dividends on preferred stock, amounted to 27 cents per share. A year ago, the bank earned $2.42 billion, or 33 cents per share. Analysts expected profit of 22 cents per share in the most recent quarter, according to Thomson Reuters. Revenue totaled nearly $30 billion in the quarter. The company's trading business, which includes the Merrill Lynch operation, had a drop in income because of the steep dive the stock market took during the spring. JPMorgan Chase reported a similar slump in trading income. The index for all items less food and energy rose 0.2 percent in June after increasing 0.1 percent in May. ... The 12-month change in the index for all items less food and energy remained at 0.9 percent for the third month in a row. Even with the slight monthly increase, Owners' equivalent rent (OER) is down year-over-year. The general disinflationary trend continues - CPI is unchanged over the last 8 months - and with all the slack in the system (especially the 9.5% unemployment rate), CPI will probably stay low or even fall further. We added to BankAmerica as it dropped $1 and we also repurchased Fifth Third which is down 7% on the day as the gurus suggest that the new financial bill is going to decimate banks earnings. And they also have a bridge to sell. The major market measures are down 1.5% after two hours of trading. Well today wasn’t fun. The major measures lost 3% and breadth was 4/1 negative (all 100 issues on our screen were red) with down volume 20 times up volume. Volume was summer Friday Triple Witching light. Twelve out of thirteen days down followed by eight straight up days is enough to confuse even the most diehard technician. The markets are controlled by the HFT folks and short term trends are exacerbated by them. With option/futures expiration tonight and tomorrow (Triple Witching) any action is possible. As the trading day begins futures suggest a higher opening. The major market measures jumped 1.5% on Tuesday followed by consolidating action yesterday until a pop a few minutes before the close. With an 18% correction under its belt and an 8% move off that correction the S&P 500 should but probably won’t pause. The rally this week was occasioned by Alcoa and CSX beating and then suggesting that the outlook going forward was positive for each of them. On Tuesday night Intel reported its most profitable quarter ever with excellent profit margins and a rosy forecast and that helped contain any reaction to the large move Tuesday. This morning JP Morgan reported good numbers on less than expected loan write-offs. Even the bears have to take into account real data from real companies. Howling the good news will continue among the major blue chips is the question. GE reports tomorrow. (WSJ) Asian markets climbed Wednesday as Intel's strongest-ever quarterly results buoyed technology sector shares, while robust economic data in Singapore also aided sentiment. Japan gained 2%. China's gross domestic product grew 11.1% in the first half from the same period last year, after expanding 11.9% in the first quarter, as Beijing's stimulus spending continued to wind down and the effect of tightening measures began to be felt. Jobless claims dropped to 429,000 last week. The major market measures opened lower reversing the futures indication. We reduced our positions in Alcoa and Goodyear in this rally effectively lowering our cost price on each. The reaction to Alcoa good news after the first day has been tepid and we decided on a smaller but still significant Goodyear holding in accounts. On net, hiring is still lagging, especially in the small-business sector, which has been critical to employment growth in the past. Indeed, small business confidence actually dropped in June, as concerns about future business opportunities intensified. Separately, producer prices continued to moderate, falling 0.5 percent, mostly in response to lower food prices. Energy prices were also down slightly, but not the primary mover. Core producer prices were essentially flat - up 0.1 percent - and supported by cigarette prices ("sin" tax increases), which do not represent much of a threat to inflation. Indeed, the Federal Open Market Committee (FOMC) confirmed that most of its members were still more concerned about disinflation than inflation when it released the minutes of its June meeting this week. Finally, manufacturing activity softened with the New York Empire State Manufacturing Index moderating much more than expected, from 19.57 to 5.08 in June, while the Fed's index of industrial production inched up 0.1 percent in June, after surging 1.3 percent in May. Producers are starting to curtail production after rebuilding inventories that had overshot on the downside earlier in the year. The recent weakness in retail sales will tend to reinforce this trend over the summer. The Bottom Line: Growth appears to have decelerated fairly sharply since the start of the year, with the economy growing somewhere close to 2 percent and 3 percent in the second quarter. This would make it one of the weakest quarters of the recovery, and underscore the difficulty of recovering from a financial crisis rather than a more traditional inflation or Fed-induced recession. The dog days of summer have begun, a bit earlier than we would like. Remember Liz Fowler? The former WellPoint VP (WellPoint is a health insurance company) whom William Ockham noted was the literal author of the health care reform bill? I’m sure you’ll be thrilled to learn that WellPoint’s former VP will be in charge of consumer issues and oversight as our country implements the WellPoint/Liz Fowler health insurance bill. “Liz Fowler is an extremely knowledgeable and dedicated adviser, and while I’m very proud of her new position, she will certainly be missed at the committee,” Baucus said in a statement Tuesday. Obama and fellow Democrats have been promoting what they say are positive aspects of the reform bill, while the Health and Human Services Department is drafting many rules to implement the complex measure. So Liz Fowler, WellPoint’s gal, will be writing the rules implementing the law (the rules that will determine whether this is a worthless bill or a decent one), particularly those designed to protect (cough) consumers and oversee companies like…WellPoint. This is the kind of “oversight” that resulted in the BP disaster. And remember Obama’s lobbyist restrictions? The ones that prevent someone from working in the Executive Branch on an issue that they’ve lobbied Congress on for two years? Fowler was not a registered lobbyist; rather, she was the VP of Public Policy and External Affairs. But in any case, it appears that Fowler returned to MaxTax Baucus’ staff on March 4, 2008, so nothing prevents the former VP of WellPoint from writing the “consumer and oversight” rules that are the only thing protecting Americans from policies — like WellPoint’s — that screw consumers. It’s a nice trick: send your VP to write a law mandating that the middle class buy sh*tty products like yours, then watch that VP move into the executive branch to “oversee” the implementation of the law. What could go wrong?!?! About 15 minutes into the final hour of trading Goldman Sachs jumped $5 per share. Right after that CNBC had a flash news item on the TV screen that the SEC was going to make a significant announcement at 3:45 PM. There is also news that no oil is flowing into the gulf after the start of BP’s well test. BP is up $2 on that news and we certainly hope the cap works. Both those news items induced a rally in the major measures from down almost 1% to slightly mixed at the bell. Breadth at the close was flat and volume for the day was summer light. BankAmerica, Citi, and GE report Friday morning. (WSJ)European stocks finished modestly lower as downbeat economic news from the U.S. raised concern about the pace of the recovery, offsetting strong earnings from J.P. Morgan Chase & Co. and receding fears about the euro-zone crisis. Oil ended at $76.93 and Gold unchanged at $1208. We will be traveling Tuesday and Wednesday so our next post will be on Thursday July 15. Asian markets were higher overnight except Japan where the ruling party lost control of the upper house in elections. European bourse indexes are higher and U.S. futures lower as the trading day begins. (MarketWatch) Shares in BP (BP) gained sharply in London on speculation that the oil giant may be sold in parts or as a whole and as the firm said the cost of the Gulf of Mexico spill had reached $3.5 billion. The Sunday Times (of London) newspaper said Exxon Mobil (XOM) and another firm that it believed to be Chevron (CVX) had sought U.S. regulatory clearance to make a bid worth as much as $150 billion. The U.S. is back to two telephone companies (with three others trying) in the U.S. and now it looks like it will be back to three Oil companies. John D Rockefeller would be proud. (Exxon is the Old Standard Oil of New Jersey, and Chevron is the old Standard Oil of California. BP is Amoco which is the old Standard Oil of Indiana plus Standard Oil of Ohio. (AOL) Alcoa (AA) kicks off second-quarter earnings season after Monday's closing bell, and if recent history is any guide, the aluminum giant has a 50-50 chance of beating Wall Street's profit and sales estimates, according to data from Thomson Reuters. But, really, who cares? Of much greater importance is what the Dow component -- and the slew of companies to follow -- says about future growth prospects. The market, after all, is forward-looking, says Doreen Mogavero, CEO, co-founder and head of floor trading at Mogavero, Lee & Co. "It's all about outlooks," Mogavero says. "With all the uncertainty we've seen, it's going to be very interesting to see what CEOs and CFOs have to say." (Bloomberg) -- Bank of America Corp. and Wall Street firms that notched perfect trading records in the first quarter are now depending on an accounting benefit last used in the depths of the credit crisis to prop up their results. Bank of America, the biggest U.S. bank by assets, may record a $1 billion second-quarter gain from writing down its debts to their market value, Citigroup Inc. analyst Keith Horowitz estimated in a June 23 report. The boost to earnings, stemming from an accounting rule that allows banks to book profits when the value of their own bonds falls, probably represented a fifth of pretax income, Horowitz wrote. Because the banks bonds are trading at less than par the accountants let the banks book a profit on the difference between the price of the bonds –say $95- and the maturity value $100. The theory is that the banks could buy the bonds back at $95 and realize a $5 profit. Only in America. 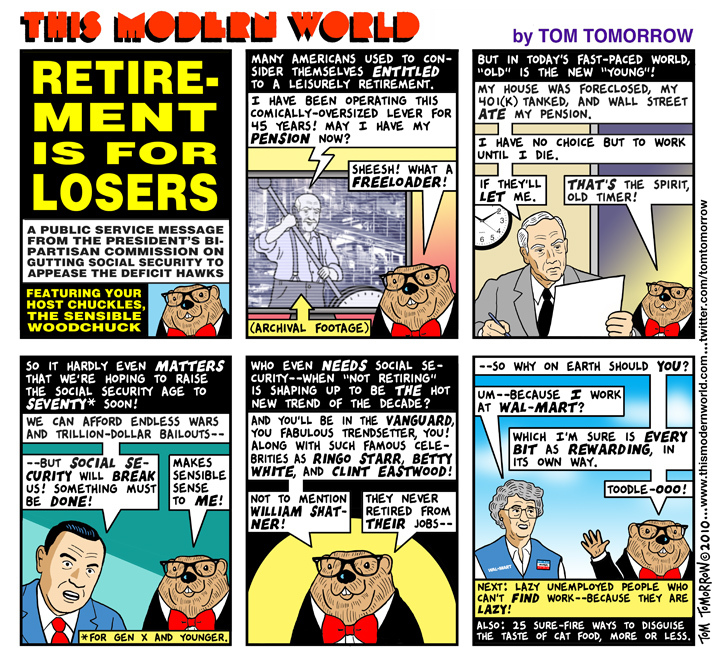 In order to rescue Social Security there is talk that the retirement age will be raised to 70. Heck, raise the retirement age to 80 and Congress can use the money saved to pay off the National Debt. The major market measures floated plus or minus a bit Monday in light volume as traders awaited Alcoa’s earnings after the close and other biggies this week like Intel on Tuesday night and JP Morgan Thursday morning with BankAmerica and Citi on Friday. European stocks closed mainly higher and Oil lost $1.20 to $74.90 while Gold dropped $12 to $1198. Asian and European markets were slightly higher overnight. China is going to allow Google to operate and shares of Google are higher on the news. U.S. futures indicate a lower opening. On top of three higher days traders have to decide whether they wish to be long or short over the weekend. Investors remain on vacation. (NYT) More than one in seven homeowners with loans in excess of a million dollars are seriously delinquent, according to data compiled for The New York Times by the real estate analytics firm CoreLogic. By contrast, homeowners with less lavish housing are much more likely to keep writing checks to their lender. About one in 12 mortgages below the million-dollar mark is delinquent. Our guru - who is bearish - says that 1171 needs to hold on this rally and 1220 needs to be recaptured if the bull rally is to resume. There was no sugar coating the losses that Barnes & Noble (BKS) reported last week. The largest brick-and-mortar bookstore chain's stock started nosediving to near-record lows after it released its quarterly report and a weak outlook that left Wall Street analysts and investors disenchanted to say the least. Analysts now expect B&N stock to fall even further. With the ongoing fight between billionaire and key shareholder Ron Burkle and company executives Leonard and Stephen Riggio -- brothers who together hold the biggest stake in B&N -- playing out in a Delaware court on Thursday, signs point ever more clearly to the possibility that Barnes & Noble will go private. And that just might be the best step for the company to take. A public company may choose to go private for a whole host of reasons. It might be investing more of its time and capital on new initiatives that take away short-term success but may better prepare it for the long haul. It may be tired of the stringent regulations and added expenses placed upon public companies since the Sarbanes-Oxley Act -- recently upheld by the Supreme Court -- was passed in 2002. It may be facing internal battles among shareholders that take time away from the business of running a company. And it may feel that a protracted stock drop precipitated by factors not necessarily in its control may also interfere with a genuine chance at turning things around. The idea that Barnes & Noble could go private was most recently brought up by publishing industry newsletter Publishers Marketplace. But idle talk seems to have more force attached as the company increasingly fits the bill in almost every case. With the release of its Nook e-reader in November 2009, Barnes & Noble has made an aggressive bid to go after the e-book market and challenge Amazon (AMZN), which holds the dominant market share thanks to the Kindle. Like Amazon, Barnes & Noble has developed applications for every conceivable device -- including Apple's (AAPL) iPad. Unlike Amazon, it doesn't have the luxury of its core business -- the brick-and-mortar store sales -- buttressing the significant investments needed to get its digital side truly developed. Going private might alleviate the stress of producing results too quickly for shareholders and give Barnes & Noble the time and space it needs to stake its rightful e-book territory. Wall Street had forecast a profit for the new fiscal year, but Barnes & Noble now projects that it will break even at best -- and more likely lose up to 40 cents a share -- as a result of its plan to significantly increase investment in its Nook e-reader. Of course, investors aren't too happy about the losses. It's something of a "damned if they do, damned if they don't" scenario. Doing nothing would also make investors unhappy. Barnes & Noble, however, has reason to believe its investments will pay off. After all, the company's digital revenues jumped 51% in the fourth quarter of 2009, and its share of the e-book market has increased an order of magnitude, from 2% before the Nook was released last November to 20%. To reach projected goals of a 25% share of the e-book market by 2013 (which would yield somewhere between $3 billion and $5 billion in revenue) and a greater share of the overall book market, the company will need time and money to make these results happen. If shareholders balk, then, as rumored in publishing and investor circles, private equity would be more than happy to swoop in and save the day in the hopes such an investment will pay off three or four years from now. The increasingly acrimonious fight between the Riggios and the company's third-largest stakeholder Ron Burkle could be another catalyst for Barnes & Noble to go private. For the last several months, Burkle and Barnes & Noble have battled it out over the billionaire's rapid stock grab and the company's implementation of a "poison pill" measure to prevent Burkle from buying up more than 20% of total shares. Relations soured so much that Burkle filed a lawsuit against Barnes & Noble's board of directors -- and specifically, the Riggios -- in early May, alleging the poison pill measure "is unfair and directors have breached fiduciary duties of loyalty, care and good faith." The trial will begin on July 8, and it couldn't come at a more fraught time for both parties. The large stock drop has devalued Burkle's stake in a big way, likely increasing his ire about how the company is being run. The overall loss in value also means that Barnes & Noble can hardly afford what looks to be a long and drawn-out battle with just two months until the next board meeting, where a proxy fight is expected to be waged -- or another option, like going private, is put on the table. At the moment, Barnes & Noble's current market capitalization is approximately $750 million -- a lot less than at this time last year, but not so anemic that the company can't attract interest in private equity. With eyes on a digital future and beefing up infrastructure, Barnes & Noble is well suited for a cash infusion or two by companies seeing promise and renewed strength after a period of turnaround. Going private also may get around the Burkle/Riggio battle, which stems in part from Burkle's belief that the company has one set of rules for shareholders like himself and another for its chairman (Leonard) and former CEO (Stephen). Burkle has made noises about engineering a private takeover, and DailyFinance has already speculated that such a scenario might emerge involving Burkle and money management firm Aletheia Research and Management, another significant stakeholder. If B&N does not have to answer to the public, it may be able to take even more risks not only to stay alive in the book business, but eventually thrive. Hitching a post to private equity produces as many, if not more, complications as staying public with declining stock prices. Opting to go private is a time-consuming affair that requires all shareholders to approve the switch. And if they don't, they may revolt in the form of lawsuits. What's certain is that Barnes & Noble cannot afford to stumble any further. Leaving for private pastures may smooth the ride as the company tries to secure its place in the new digital publishing landscape. The major market measures meandered mellowly as traders and tourists tasted sweet summer scenes rather than tussling with the trials of totally tormenting trading. At the bell market measures were higher for the fourth day running. Breadth was 2/1 positive and volume summer Friday light. European shares closed higher Friday-also for the fourth straight session- to wrap up the best week in a year. Gold was up $14 at $1210 and Oil gained 70 pennies to $76.22. With the S&P 500 rally of 5% coming after a two month 18% retracement (need a 22% rally to get back to where the drop began) we will limit our celebrating to one HOOOOOOOOOOOOray! Foreign markets played catch up overnight with the U.S. markets of yesterday. U.S. futures indicate a higher opening as retail sales numbers were OK and Jobless claims were a bit better than expected at 454,000. (Bloomberg) -- The number of Americans applying for jobless benefits fell more than forecast last week. Initial claims for benefits decreased by 21,000 in the week ended July 3 to 454,000, Labor Department figures showed today in Washington. Economists had forecast claims would fall to 460,000 from an initially reported 472,000 for the prior week, according to the median of 36 projections in a Bloomberg survey. “June was a difficult month with lighter traffic than we anticipated,” said Sabrina Simmons, chief financial officer of Gap Inc. “Looking ahead, we remain committed to our goal of driving top line sales balanced with ongoing operational discipline.” Year-to-date net sales were $5.70 billion for the 22 weeks ended July 3, 2010, an increase of 5 percent compared with net sales of $5.45 billion for the 22 weeks ended July 4, 2009. The company’s year-to-date comparable store sales increased 3 percent compared with an 8 percent decrease last year. Gap dropped 8% on the news to $18.25 after trading at $26 last month. With earnings projected at $1.80 we added shares to accounts. The HFT boys and girls decided to run them up and the end. At the close the major measures were up about 1%. Volume was moderate and breadth was 3/1 positive. Oil gained $1.80 to $75.86 and gold rose $3 to $1198. As we were walking our perimeter control animals last night the thought came to us that the present market action reminds of 1982. It was the second year of the Reagan Presidency and his poll numbers were anemic and the markets moved inexorably lower into August. The low was made on Friday August 13. There were two seers called Dr Doom and Dr Gloom. One was Henry Kaufman from Salomon Bros. and the other was Dr Gloom (Albert Winjolower) from first Boson. Those two firms were the leading investment houses of that time. The past few years the media has anointed Mohamed El Arian of Pimco and Nouriel Roubini from NYU as the current prophets of doom and gloom. There is also a Friday the 13th this year and the markets have been moving inexorably lower since the top in April this is the second year of the Obama presidency and the media is predicting political doom for Obama. With 9% unemployment the economy can’t recover according the experts. New Jersey Star Ledger--Obama shares the blame for this impatience. He promised too much, too quickly. Worse yet, he never foresaw how swiftly joblessness would jump during the worst economic decline in almost 80 years and how stubbornly it would persist. But he should have. For there's a striking precedent for what Obama faces today. It's the Reagan economic recession of 1981-82. On taking office in January, 1981, Ronald Reagan, like Obama, inherited an economy in a downward spiral, not quite as bad as today's but close enough. The Gipper slashed corporate and individual tax rates to boost the economy and, in his sunny style, predicted not only a recovery, but a balanced budget. Didn't happen, at least not as fast as he forecast. Didn't come close. By November, 1982, unemployment reached slightly more than 10 percent -- higher than today's -- with 9 million-plus out of work, the most since the Great Depression. Business failures reached 17,000 that year, the second highest since the 1930s. The public, which had given Reagan a landslide presidential victory, lost patience, as it almost always does. In that year's midterm elections, Republicans lost 27 seats to the Democrats. And by January, Reagan's approval rating had plummeted to 35 percent. As a re-election candidate, the smart money said, the Gipper was a dead-man walking. We all know that didn't happened. The lesson here, as Reagan demonstrated, is that we should be wary of public impatience and premature polls. The economy, as it usually does, recovered, as it probably will for Obama. But it took almost two years for the Reagan recovery to arrive -- as it likely will with Obama. Reagan, the object of national rejection in early 1983 won a massive re-election victory in 1984.Obama's fate depends, as Reagan's did, on the economic recovery he promised. And he'll pay at the polls if he doesn't deliver, beginning with the 2010 midterm elections. The bulk of infrastructure spending -- the heart of Obama's stimulus plan to put people to work in shovel-ready bridge, highway, tunnel, school and other construction work -- won't turn into lots of actual paychecks until sometime next year. That's likely too late to help Obama and Democrats in the midterm elections. But it might be just in time to let Obama, like Reagan, turn the recovery corner in time for his own re-election. Te reality is that this is 2010 and not 1982 or 1932. Markets are never the same but they do sometimes rhyme. The 90-% move higher from March 2009 to April 2010 was unprecedented. And a serious correction was need to clear the air and prepare a base for an eventual move higher when economic numbers begin to suggest further recovery.. We are now experiencing that correction. The 2008-2009 collapse occurred because markets were worried and confused about the ability of the financial system to withstand the losses from stupid investment decisions and greed that threatened the capitals structure of the country. The Fed did its job and stabilized the system. We may not have liked how they did it but they did do it. It is now apparent that for the present the financial system is not going to collapse. Unlike 1932 there are enough automatic payments going into the system on a daily basis from Social Security and Medicare and defense spending and pension payments etc. that the collapse of economic activity that occurred in the 1930s can’t occur again. As long as the financial system is stable markets have no reason to crash. That doesn’t mean they can’t- anything is possible witness May 6 - but the odds favor stability. Our maximum correction target remains 950 on the S&P 500 which is 7% lower from here. We like the stocks we own and will be adding to them on any further correction. (MarketWatch) Asian stocks largely declined Wednesday after weak U.S. data refueled worries about the strength of the global economic recovery. China said it's not considering dumping its U.S. debt holdings, saying it has adopted a "go with the flow" attitude on managing its stockpile of foreign reserves. European stocks were mostly weaker, with banks and mining stocks lower, though BP continued to bounce off lows as CEO Tony Hayward visits the Middle East. Oil has a $73 handle which is higher and Gold has rebounded a bit form its $15 sell off yesterday in the early going. Want to be invited to “A” list parties? Want people to think you are smart? Then, don’t smile and don’t say anything positive – especially about the economy. Pessimism has become so pervasive that people will believe just about anything, as long as it is negative. Over the July 4th weekend, after a jobs report that showed 83,000 new private sector jobs were created in June, the Drudge Report had not one but two headlines that compared the US economy of 2010 to that of 1932. In other words, the US is back in Depression. This is a complete over-reaction and is indicative of the severe case of economic hypochondria that seems to have gripped the nation and the world. One symptom of this disease is that common sense is suspended. The simple explanation is tossed aside and data releases are dredged and sifted to find the most dire possible explanation for any economic information. For example, every ten years the United States Government conducts a census, and every ten years the government hires hundreds of thousands of very temporary workers to help in the effort. Sometime between April and June total employment goes up and down by an amount that often swamps the underlying trends of employment. In May, total payrolls increased 433,000, but then fell by 125,000 in June. So rather than explain this to people, the Pouting Pundits of Pessimism said things like “all the jobs in May were government jobs.” And then last Friday, after the June jobs report, they said “jobs fell for first time in seven months.” Both of these reactions were misleading. They could have said “once we adjust for the census, private sector payrolls increased by 33,000 in May, and then accelerated in June to 83,000.” While both months were disappointing when compared to previous recoveries, the data shows six consecutive months of private sector job creation. This is crazy. It defies common sense. Economic data is volatile, so quarterly data might be better. And in the second quarter the US added 357,000 private sector jobs – more than 50% greater than the 236,000 added during the first quarter. New orders for durable goods, a leading indicator, are up 10% at an annual rate in the past three months. Excluding transportation, they are up 25%. If we look at just machinery orders, they are up 63% in the past three months and 23% in the past twelve months. This is not a depression. Yes, housing has fallen. But what should we expect after a huge government program to support housing activity ends? Remember “cash for clunkers?” Activity was artificially boosted by the program, then it fell, then it recovered as the normal forces of economic activity kicked in again. The same thing will happen with housing in the months ahead. So, could we be repeating 1932? We suppose anything is possible, but these fears are based on a faulty comparison with history. In 1932, the M2 measure of the money supply fell by 16.5% - the third out of four consecutive yearly declines between 1929 and 1933. Meanwhile, Herbert Hoover pushed through the largest tax hike in American history. The lowest tax rate rose from 1.5% to 4% (at $1 dollar of taxable income), the 6% rate (which kicked in at $10,000) rose to 10%, and the top rate more than doubled from 25% to 63%. Today, the M2 measure of money is growing and tax rates, while scheduled to go higher in 2011, are nowhere near the levels of the 1930s. And there is no Smoot-Hawley Tariff Act. None of this is to say that the government is not making it more difficult for business. Clearly, the uncertainty of new laws, spending, taxes and regulations is throwing a wet blanket over the entrepreneurial side of the American economy. But two things are true. First, productivity is so strong that the economy is growing despite massive increases in the size of government. The US is creating jobs, even if the rate of growth is less than previous recoveries. Profits are still rising. In fact, analysts are still raising earnings estimates. Second, the market has so much negativity priced in, that it is cheap on just about any basis. Based on forward earnings, the PE ratio for the S&P 500 is under 12. And our capitalized profits model shows that stocks are severely undervalued. Based on very conservative inputs, we continue to believe the fair value for the Dow Jones Industrial Average is 14,500. Pessimism creates value. Optimism has traditionally been rewarded. We remain optimistic. The major measures are up 1.5% again this morning with the S&P 500 at 1040 resistance after two hours of trading. Today’ rise was firmer and seems more sustainable than yesterday’s but we don’t under estimate the ability of the HFT to ruin any party. As long as they are on our side we are content but when they join the bears we want HFT eliminated. The Refinance Index increased 9.2 percent from the previous week and is the highest Refinance Index observed in the survey since the week ending May 15, 2009. ...The refinance share of mortgage activity increased to 78.7 percent of total applications from 76.8 percent the previous week, which is the highest refinance share observed in the survey since April 2009. In case 1040 on the S&P 500 continues as resistance we took a scratch gain and a scratch loss respectively in KBE and ANN in our more aggressive accounts that owned them. Both are anchovies that we have been underwater on since purchase and we are less so today. We added shares of Citi to accounts that own the company to make the position worth the effort. Finally we had a strong green day. June 18 was the last time we used a green arrow. We’ll take it but we have a feeling it may be a one and done affair. Individual retailers report tomorrow and the numbers need to match or exceed expectations to continue today’s rally. The DJIA and S&P 500 we both up over 2% and the NAZZ jumped 4%. Volume was light but at least we will enjoy the evening. Breadth was 5/1 positive and up volume was 16 times down volume on NYSE stocks. But with HFT trading that number is meaningless. Shares in Europe reversed early losses as bank stocks led a late, sharp rally that helped major measures finish in positive territory. Gold gained $6 to $1201 and Oil ended the day at $74.10 up $2.12. A few days ago a news story broke about Wachovia (now part of Wells Fargo) laundering money for Mexican Drug Cartels. Mish adds color commentary in this piece. So now I suppose we can say that TBTF in addition to all the other economic damages and risks, adds additional dimensions of suffering. This is just one small part of the human cost. Imagine the money laundered for human trafficking, prostitution, illegal arms sales, protection rackets, and other organized and disorganized crime. These kinds of press reports leave bloody hands as clean. In allowing the corporations to take the blame and provide legal amnesty for the culpable individuals, we fail to address the most basic causal factors. I can surmise several things. One, the individuals that allowed the funds to be laundered were paid handsomely to do so through their incentive plans. Some were probably recognized as top performers in their firm. In producing all this business, they also earned their managers bonuses and recognition. As the excerpt shows, people knew. People higher than the individual producers and their managers. Someone higher in the organization listened to Mr. Woods and then disregarded his recommendations. These people have blood on their hands as surely as terrorist front organizations funneling money abroad. The bonuses paid and recognition provided folks doubtlessly known as ethically challenged among peers also sets up a cognitive dissonance to which other employees will act in a predictable variety of ways. Some will learn to cheat. Some will leave in disgust. Some will live with it and seek escape in addiction. Some will become depressed. These management decisions are a betrayal of the employees in organizations that are supposed to be about trust. Our regulators and prosecutors also fail us when they do not bring stern cases against the corporation and both front line and senior bank officers that participate. These officers continue with reputations unsullied in their communities. Further, when regulators fail to expose the cognitive systems that underlie such crime they ensure that these episodes will be repeated. We can do better. What is the Vichy regime? During WW II, the Vichy regime was the official government of France under German control. The regime actively collaborated with the Nazis, even to the extent of participating in their racial policies. Meaning, they supported the denouncing of Jews and French resistance with the inevitable consequences. Frenchmen were in an intolerable situation and had to choose sides. Some chose wrongly. We are back a day early. Asian markets were higher overnight and European and U.S. markets look to open higher. A rally back to 1040 on the S&P 500 may be in the cards after 11 out of 12 down days then a test of 1000 and a scary trip to 950 may be needed to wash out the greed. That would be a 50% retracement of the move up from the March 2009 low. (AP) — Ilene Woods, the voice of the title character in the Walt Disney animated feature “Cinderella,” died on Thursday in Canoga Park, Calif. She was 81. The major market measures opened 1% higher. (http://www.dividend.com/blog/?p=22222) Telecom giant Verizon Communications Inc. saw its price target and earnings estimates cut on Tuesday by analysts at Auriga. The firm reiterated its “Hold” rating on VZ, but lowered its price target on the stock from $31 to $29. That new target would represent just an 8% upside to VZ’s Friday closing price of $26.81. Auriga also lowered its second quarter 2010 EPS estimate $0.60 to $0.56, full-year 2010 EPS estimate from $2.42 to $2.28, and full-year 2011 EPS estimate from $2.57 to $2.33. Auriga cited VZ’s recent completion of the spinout of its Frontier assets for the downgrades. On this negative news which forced VZ down to two year low. We added shares to larger accounts. VZ will eventually get the iPhone and when the announcement occurs we think the stock will pop. And when they finally do begin offering it we think there will be a lot of switching in the first year costs be damned. The shares are X dividend tomorrow (7% yield) and so we only bought in tax free accounts today. We will add to taxable accounts tomorrow. (AP) Verizon Communications Inc. said its spinoff of land line business in Washington and 12 other states plus parts of California took place on July 1, 2010. New Communications was formed as part of Verizon's sale of the landline operations to Frontier Communications Corp. After the spinoff, Verizon stockholders will collectively own between about 66 percent and 71 percent of the shares of Frontier and Frontier stockholders will collectively own between about 29 percent and 34 percent. In May 2009 Verizon agreed to sell divisions that offer service to 4.8 million phone lines in 14 states to Frontier Communications for $3.3 billion in cash and $5.2 billion in Frontier stock. The S&P 500 is back to 1040 an hour into the trading day. That may be it for the rally. (Yahoo/Finance) Energy prices are up markedly this morning, but precious metals prices are presently under pressure. Specifically, crude oil prices are up 2.1% to $73.65 per barrel after they had hit a two-week low late last week. Meanwhile, natural gas prices are up an even sharper 3.8% to $4.86 per MMBtu. Gold prices are down a sharp 1.3% to $1191.70 per ounce, which marks a new one-month low. The ISM Service Index for June came in at 53.8, which is below the 55.0 that had been expected, on average, by a sample of economists polled by Briefing.com. The latest index is also below the 55.4 that was recorded for May. Citi offered negative comments on retailers at the rally peak this morning and those words have many retailers down on the day and have cabashed what was-at best- a volumeless rally. Entering the contra hour the major market measures have given up their 1.5% gains and are now lower on the day as the bears assert themselves. European bourses closed higher but the U.S. markets were up 1% at the time Europe closed. Gold lost $14 to $1195 and Oil was down pennies to $72. The HFT folks played their games at the end of the day to close the major measures higher but today’s action (reversal of 170 DJIA points off the high) was not encouraging for the bullish case. The higher closed ended the string of losing days but that was about it. We are bulls on the stocks we own but we would just as soon get the move to 950 over so that the markets can stabilize. Volume was summer holiday light both ways and Breadth went from 10/1 positive after the first hour to 3/2 negative at the close. Ugh!!! Go to the beach-- we are here watching. Jobs fell by 125,000 in June because of the drop in census workers. Private sector jobs grew 83,000 versus a growth of 33,000 in May. Markets are flat to lower on the news when they should be celebrating the dory in government spending on jobs and the fact that private sector employment improved. But that news doesn’t fit the current end of the world mantra. Oil is back down to a $72 handle and Gold is at $1205. BP Plc’s first relief well aimed at plugging its Gulf of Mexico gusher is ahead of schedule and about 600 feet (182 meters) from intercepting the biggest oil spill in U.S. history. When/if BP can plug the leak investor psychology will change. The catastrophe will be then be a known quantity with which the markets can deal. The negative psychology created by the oil spill is underappreciated by market observers. (Bloomberg) Students at Utah Valley University and other public colleges in the state are free to carry concealed handguns on campus if they have a permit. Nick Moyes is one of them. “It’s about self-defense, the ability to defend yourself,” said Moyes, 28, a student who brings his Sig Sauer P-226 9mm handgun onto campus in Orem, Utah, every chance he gets. “That’s a God-given right.” Moyes’s pistol-packing privilege has nothing to do with the U.S. Supreme Court ruling June 28 that will likely be used to attack gun laws across the U.S. In 2007, Utah said holders of concealed-weapons permits like Moyes may bring such weapons onto campus, providing that right long before the justices ruled. Obviously, we agree with Krugman. But our market scenario is that the debt vigilantes contour to wail and that the media sees the austerity Republicans (who did nothing when they controlled Congress) as a way to attract cable viewers. That cacophony will continue into the fall elections with polls showing that the Repubs will retake the House. And that news will give a push to the markets. If the Repubs do take control the markets will rally and we will lower exposure. "Because of these people, I have a roof to survive until I find a place to live," Davenport said. "If it wasn't for them, who knows where I might be." But the shelter is struggling financially, said Todd Sherman, director of Flagstaff Shelter Services. It already has closed its general overnight beds for the summer, And now, to conserve enough funds for overnight winter operations, the facility has had to go from being open seven days a week during the summer for day services to just two days a week, and with reduced hours to boot. Only Davenport and nine other men with long-term ties to Flagstaff are being allowed to stay overnight during the summer, although they must leave during the day. We’ve added this post because the story the week before a fire consumed 280 Acres and caused the evacuation of homes. On Saturday, U.S. Forest Service officials, in searching for the point of origin of the fire off J.W. Powell Boulevard, came upon two transients in the area where the fire started. One transient ran from officers, but a second transient told investigators that he and the man who ran away had been camping in the area. According to information from the police department, the suspect had made a small fire for cooking and later dumped hot coals from the fire underneath an open grill on the ground. Calculated Risk (http://www.calculatedriskblog.com/) on the jobs report. The underlying details of the employment report were mixed. The positives: the economy added 100 thousand payroll jobs ex-Census (still weak but better than in May), the unemployment rate decreased to 9.5%, the number of part time workers (for economic reasons) decreased slightly helping to push down U-6 to 16.5% (from 16.6%). Negatives include the declines in the participation rate and employment-population rate, the slight decrease in hourly wages, the decline in average hours worked, and a record percent of workers unemployed for more than 26 weeks. The number of long term unemployed is one of the key stories of this recession, especially since many of them are now losing their unemployment benefits. 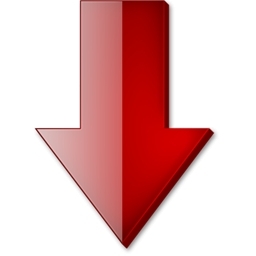 Down in light trading makes 7 straight down days and 10 days out of 11 down, DJIA down 5% this week. We are getting to at least bounce territory, maybe Tuesday. In the week ending June 26, the advance figure for seasonally adjusted initial claims was 472,000, an increase of 13,000 from the previous week's revised figure of 459,000. The 4-week moving average was 466,500, an increase of 3,250 from the previous week's revised average of 463,250. Analysts at UBS raised their rating on Dell to buy from neutral Thursday, citing limited downside risk to the PC maker's shares. "We continue to believe Dell will be a beneficiary of an enterprise PC refresh that should begin in [the second half of 2010] and grow in 2011," they wrote in a note to clients. The Dow tumbled to a 10.4% loss for the second quarter and its worst quarterly performance since the first quarter of 2009. The Nasdaq Composite fell 12% for the quarter. The Standard & Poor's 500-stock index declined 11.9% for the quarter. Markets are down 1% this morning which makes 9 out of last ten days as down. We sold Cienna and used those funds plus funds from our sale of Nokia to add to GE, Symantec, Alcoa, American Eagle, Goodyear and Dell in accounts this morning. We improved quality while still keeping exposure close to 50% in many accounts. This sell off is painful but it is providing opportunity to improve portfolios and increase positions for whenever the selling stops. Given the relentless pressure it would seem that the selling will never stop. There should be a relief rally in the next few days after which the downturn may resume. We are still viewing this selling as a much needed correction and are adding and refining holdings accordingly. (CNBC) Standard & Poor's has placed rival ratings agency Moody's on its watch list for a credit downgrade, citing dangers from financial reform legislation that could imperil S&P itself. Irony abounds in a research note from S&P—a ratings agency warning about a fellow ratings agency's exposure to a proposed law targeted in part at ratings agencies. The note is only a warning that the A-1 status of Moody's is in danger, and S&P says the worst-case scenario appears to be a downgrade to A-2. Stocks close lower for the sixth straight day. Volume was active and there were a couple of attempts by the bulls to rally the markets. (Reuters) - Ford said it was paying $3.8 billion in cash to settle a debt to a health care trust in a signal of its confidence it remains on track to deliver "solid profits" this year. In addition, Ford said on Wednesday it was making a $255 million payment on preferred stock dividends that had been deferred when the automaker was trying to conserve cash. The moves sent Ford shares up 5 percent and removed more than $4 billion in debt from its balance sheet, addressing one of the major remaining investor concerns about the automaker's turnaround plan. "This sends a strong signal around management's positive view on cash generation at Ford Motor, credit quality at Ford Motor Credit and their likely view that the stock is undervalued," said Barclays analyst Brian Johnson. Ford said it had opted not to use stock to pay $610 million to a health-care trust aligned with the United Auto Workers union. Analysts had said the prospect of a stock payment to the UAW had weighed on Ford shares in recent weeks. Paying the UAW-aligned trust fund in Ford shares would have diluted equity for investors and could have been read as a sign that management viewed the stock as near a peak. Ford stock dipped below $10 on Tuesday for the first in five months, partly on speculation that the company would meet debt payments by issuing more stock. "Our One Ford plan to profitably grow our business is working, and we are increasingly confident about the future," Ford Chief Executive Alan Mulally said in a statement. Ford said it intended to resume making quarterly dividend payments on preferred stock starting on July 15. The biggest chunk of three separate payments announced on Wednesday was $2.9 billion to pay off a note owed to the UAW-aligned retiree medical benefits trust at 98 cents on the dollar. The UAW agreed to that discount in exchange for the early payment, Ford said. Ford also made scheduled payments of $860 million on notes owed to the UAW fund, established under a 2007 contract with the union. Barclays' Johnson called the prepayment of debt "a bold move" that came as a surprise given recent market speculation that the automaker would make part of its payment to the health-care fund in stock. In afternoon trading, Ford shares were up 5 percent at $10.40 on the New York Stock Exchange. The stock is down about 28 percent from its highs in late April. It remains up more than 70 percent from a year ago, when the U.S. auto industry was mired in the deepest sales downturn since the early 1980s. Ford ended the first quarter with automotive debt of $34.3 billion, but paid down $3 billion of debt in April that will be reflected in second-quarter results. The April payment and the debt cut announced today, which together total $7 billion, leave $27 billion of debt remaining, Ford said. The $7 billion debt reduction will save more than $470 million in annual interest payments, it said. Ford was the only U.S. automaker to avoid bankruptcy last year. It borrowed more than $23 billion in late 2006, putting up nearly all of its remaining assets, including the familiar blue oval logo, to maintain a cash cushion for its turnaround. By contrast, Ford's larger rival, General Motors (GM.UL), ended the first quarter with about $14 billion in debt. The question of how quickly Ford can pay down its debt has been widely seen as one of the remaining risks for the second-largest U.S. automaker, despite strong gains in quality and sales in recent months. "We expect to continue to improve our balance sheet as we deliver on our plan," Mulally said. "Importantly, our business results make it possible to take these actions while still accelerating the investments we are making in our business to serve our customers with the very best cars and trucks." Ford, which surprised Wall Street with its first annual profit in four years in 2009, despite a severe downturn, has forecast a "solid profit" in 2010. (WSJ) Shares of Barnes & Noble Inc. plunged (we bought the plunge) to their lowest point in 18 months Tuesday as the bookseller provided a weak outlook, saying it will substantially increase its investments in digital opportunities. The company faces tough competition in the e-reader market from both Amazon.com Inc.'s Kindle and Apple Inc.'s iPad, and Barnes & Noble has also been putting a bigger emphasis on its Web offerings, naming the head of its online operations as chief executive earlier this year. William Lynch, who was named to the CEO post in March, said in the company's fiscal fourth-quarter report late Monday that it is planning to redirect a significant portion of its financial resources toward investments in technology, sales and marketing. "These investments will impact our bottom line in 2011, but we believe they will enable Barnes & Noble to capitalize on the significant mid- to long-term growth opportunities presented by the digital markets," he said. The company predicted the bottom line could range from a 10-cent loss to a 30-cent profit excluding revenue deferrals. S&P Equity Research analyst Michael Souers said investors Tuesday were likely concerned about when Barnes & Noble will see the revenue gains and profitability from its investments. He added that the extent of the investments surprised him and he wasn't expecting the company to forecast a loss for the year. However, he said the investments are necessary in order for the company to compete effectively. During its investor conference Tuesday, Barnes & Noble said capital expenditures will increase to about $150 million from $128 million last year as the company spends on efforts to boost sales of its Nook e-reader, to add new product categories such as educational toys and games and certain electronic products, and to expand a multi-channel college-textbook rental program to more than 300 colleges by August. S&P's Souers said investor worries about gross margin declines were also likely weighing on the shares. The company's 2011 financial outlook assumes gross margin will fall to between 26% and 26.3% from 28.9% in 2010, as it sells a higher mix of digital and college products, which carry lower margins. But Barnes & Noble intends to reduce selling and general administrative expenses as a percentage of sales, managing store and labor costs. In the fourth quarter, the company's selling and administrative expenses were about $368 million, outpacing its gross profit of $363 million. However, Souers expressed concern about cannibalization of the physical book market by e-books, which he said will also pressure margins. He noted that consumers might make a decision to purchase either a physical book or an e-book, but not both. He said the solution may be to close stores on a more aggressive scale than the company's plan, which is to close only six to 10 stores in each of the next three years. "If they are successful with the e-book strategy, I think closing stores would make sense since there aren't as many costs associated with digital distribution and they can leverage their revenue on a lower cost base and drive profitability," Souers said. The HFT kids did their downtick thing in the last half of hour of trading to push the major measures down 1% at the close. On today’s 3% drop in the major market measures the only stock on our screen higher was British Petroleum. In a small trade on the 29th we swapped the Irish Bank shares to Citi. In a falling market for a speculation we are more comfortable owning a lousy American Banks than the Irish one. The budget went from surpluses in 2006 and 2007 to a staggering deficit of 14.3 percent of gross domestic product last year — worse than Greece. It continues to deteriorate. As the Irish government cut the budget, the economy contracted faster and the deficit as a percent of GDP increased. [T]he government is pinning nearly all its hopes on an export revival to lift the economy. Falling wage and energy costs, and a weaker euro, have improved competitiveness. This approach works for one country - or a few - but not if every country is doing it. Calculated Risk points us to a speech by Kevin Warsh that strikes me as almost the perfect illustration of the predicament we’re in, in which policy is paralyzed by fear of invisible bond vigilantes. Warsh isn’t an especially bad example — but that’s the point: this is what Serious People sound like these days. The bottom line of Warsh’s speech — although expressed indirectly — is that it’s time for fiscal austerity, even though the economy remains deeply depressed; and no, the Fed can’t offset the effects of fiscal contraction with more quantitative easing. In short, the responsible thing is just to accept 10 percent unemployment. market forces are often more certain than promised fiscal spending multipliers. So it’s these “unanticipated, nonlinear events” that are “more certain” than the direct effects of fiscal policy? I’m confused. The Fed’s institutional credibility is its most valuable asset, far more consequential to macroeconomic performance than its holdings of long-term Treasury securities or agency securities. That credibility could be meaningfully undermined if we were to take actions that were unlikely to yield clear and significant benefits. OK, but why, exactly, does it help the Fed’s institutional credibility to do nothing to help a deeply depressed economy? This goes for both fiscal and monetary policy. Again, right now the bond market doesn’t seem worried about US solvency. And rationally, stimulus spending shouldn’t change that view: with the long-term real interest rate well below 2 percent, current borrowing has only a trivial effect on the long-run state of the budget. You may say that markets will see short-run austerity as a signal of our willingness to make long-run sacrifices; but why? What the United States needs to do in the long run, mainly controlling health care costs and increasing revenue, has nothing to do with the question of whether we have a second stimulus package. On monetary policy: again, the large expansion of the Fed’s balance sheet so far doesn’t seem to have worried markets: right now, the 10-year TIPS spread is 1.9, showing no sign of exploding inflationary expectations. And for that matter, a rise in inflation expectations would actually be a good thing right now, encouraging more spending — unless you believe that markets will someone react badly, for reasons not specified, to the Fed’s impaired “credibility” defined as … well, I’m not sure what. So what we’ve got here is an assertion that bad things will happen if you do certain things, without either any evidence to that effect or any explanation of why those things should happen. Yes, maybe bond markets will punish us if we don’t slash spending right now; also, maybe we’ll have bad luck if we step on cracks, or fail to turn aside when Basement Cat crosses our path. But why does this pass for judicious policy discussion?